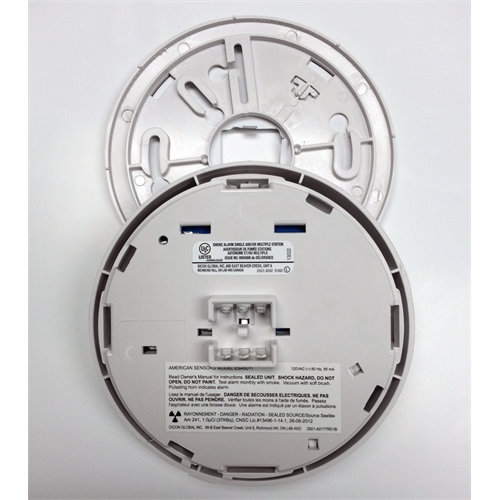 The American Sensors ESA5011 is a 120 Volt hardwired smoke alarm with built-in relay is an all purpose smoke alarm incorporating "dual-ionization" technology for sensing visible and invisible particles of combustion. 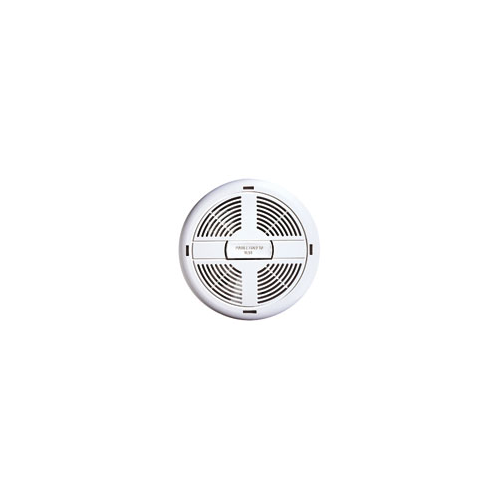 The built-in relay allows auxiliary devices to be signalled in an alarm condition, and the unit and contacts will automatically reset upon conclusion. 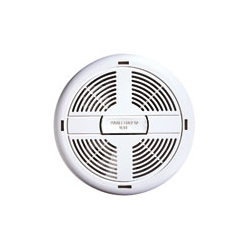 Up to 18 units can be interconnected for simultaneous warnings. This is the replacement for 470LR and 670LR models. 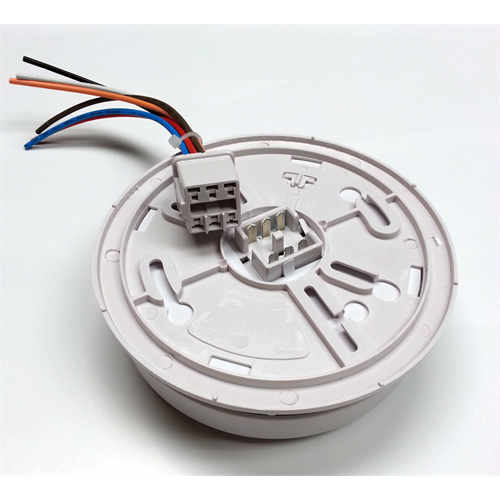 We will ship ESA5011KA which is the Canadian version. Please note: This model is certified for use in Canada only. ESA5011K.